Touted as the city's biggest one-day festival of the year, Market Day is the only time High Street in Olde Worthington officially closes for the festivities. This event is a throwback to earlier days when farmers brought their crops to market. Today artisans gather on the streets of Olde Worthington with their quality handcrafted goods. More than 250 exhibitors will display their wares, which will include everything from jewelry, pottery and ceramics to paintings, decorative clothing and wood products. Unless you live within walking distance of the event—and many people do—you will need a place to park. Event parking will be available at Thomas Worthington High School, located at 300 W. Dublin-Granville Road. In case you leave your comfy shoes at home, a free shuttle service will be transporting visitors from the high school parking lot to The Worthington Inn, which is located in the heart of the activity. Looking for hard-to-find glassware, china and other collectibles? You just might uncover a hidden gem at the Fall Yard Sale, sponsored by the Worthington Historical Society and located at the Old Rectory at 50 W. New England Avenue. Additional items will be on sale inside at the Shop, which will be open for extended hours that day. As part of Olde Worthington Market Day, the Worthington Historical Society will also host a wide variety of vendors on the southeast quadrant of the Village Green. These folks will be selling antiques, collectibles and craft items. Proceeds from both events will help support the Worthington Historical Society's mission to provide education and preserve Worthington's history. One of Central Ohio's biggest and most well-known farmers markets, the Worthington Farmers Market takes place in Old Worthington every Saturday morning during the warm-weather months. When the weather turns cold, the vendors take their wares indoors to the Shops at Worthington Place. In September, however, the market overflows with fall's bounty. 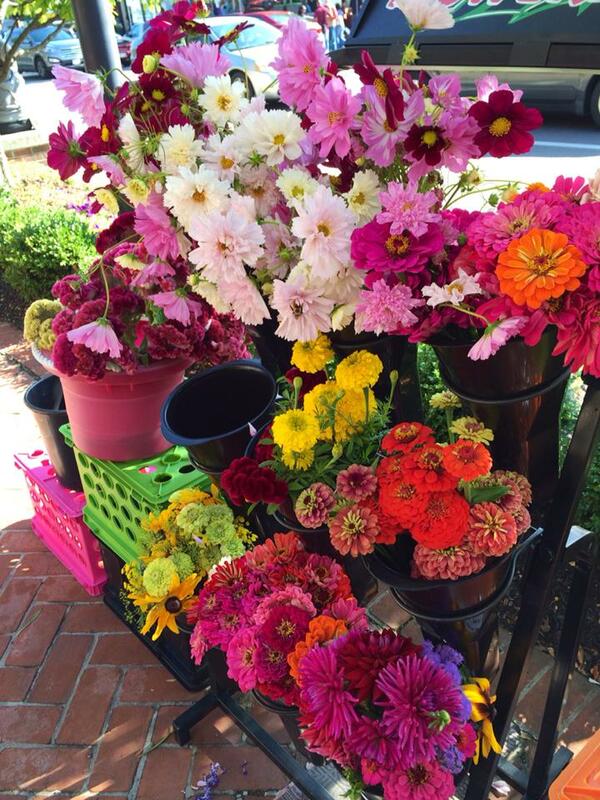 The Worthington Farmers Market boasts 87 vendors from Columbus and the surrounding area. It is well known for its locally grown seasonal fruits and vegetables, locally produced cheeses, jams, jellies, honey and maple syrup, high quality cuts of meat from carefully raised farm animals, eggs from pastured chickens, flowers, herbs, plants, homemade soaps and foodstuffs. Need more information about these events? To stay up to date on everything happening in Worthington, visit the event calendar at VisitWorthingtonOhio.com and "like" us on Facebook at Visit Worthington Ohio.